Life on a cart is not easy. It can be depressing when you feel like you have no home base in the school building. That is why I was so excited last month: My advisor was able to find me a space to sit inside a workroom! Now I have a little office carved out where I can do my planning. I am so happy to have a desk I can call my own. 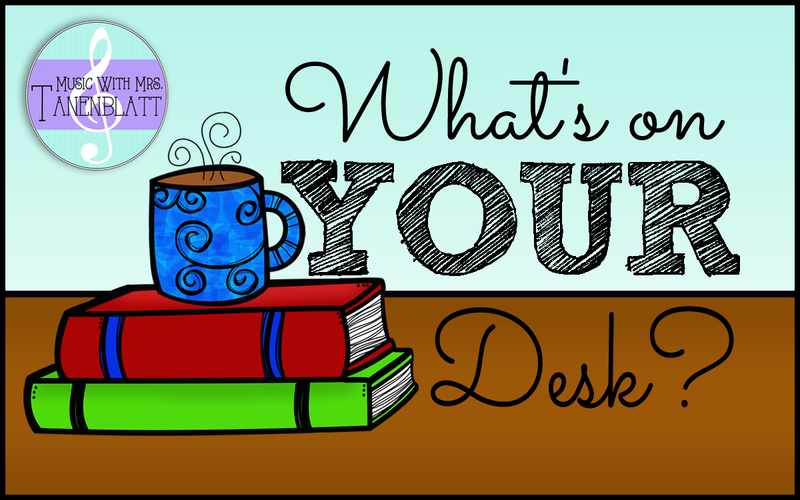 It inspired me to create this linky party, "What's On Your Desk?" For this linkup we can share what interesting books, documents, and decorations we have on our desks to represent what's going on in our teaching at the present time. 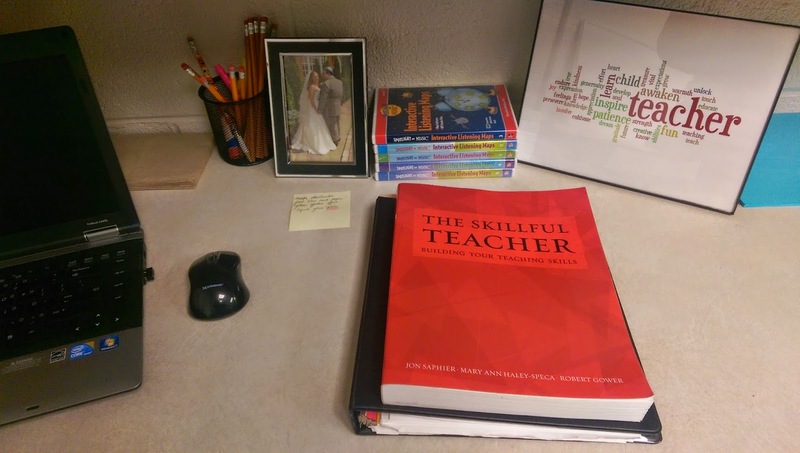 The Skillful Teacher textbook by Jon Saphier. My principal has asked me and another teacher to lead an after school PD session next week on the concept of Effective Effort, so I am brushing up on the information I learned when I took a Skillful Teacher class last fall. Save the "What's On Your Desk?" graphic to your computer. Include the graphic and link to this post in your blog post. Post a picture of your desk (if possible) or current workspace with a description of the items. Submit your blog here to be included in the linky party. Hey I linked up and mine looks like a bomb went off - as it always does! It is what it is! All content copyright Rachel Tanenblatt unless otherwise noted. Travel theme. Powered by Blogger.